Azure DevOps services span the entire DevOps lifecycle. 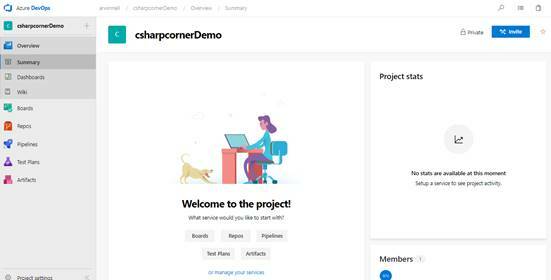 Azure DevOps Services offers cloud tools for collaborating on code development. Azure DevOps services span the entire DevOps lifecycle. You can use them all together for as a full solution, integrate them with your already existing solutions or just pick and use the services you need. One main highlight of Azure DevOps is Azure Pipelines. It is a Continuous Integration/Continuous Deployment system that works with any programming language, targeting any platform and supports any cloud platform. It is highly extensible with over 500 extensions to integrate with your tools. 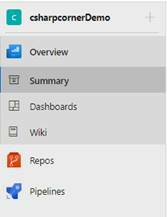 This article is part of a series of 4 articles on getting an ASP.NET web app live on Azure App Services using Azure Repos and Azure Pipelines. 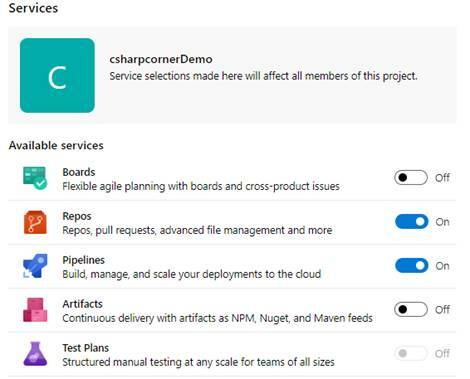 This first article will walk you through creating Azure DevOps Organizations & Projects. Git installed on your machine. Sign up for Azure DevOps with a personal Microsoft account, it is free for Open Source projects and teams of up to 5 users. If you're a Visual Studio subscriber and get Azure DevOps as a benefit, use the Microsoft account associated with your subscription. 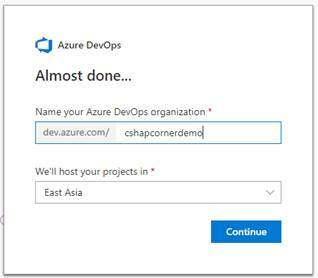 After signing up, you will be required to create an Azure DevOps organization where you will be able to store your projects and collaborate with others, and you will also get to choose where to host your data. 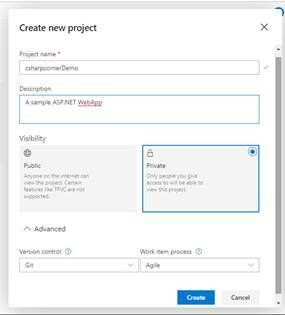 Next, click on the “Create Project” button to create a new project where you will get access to the 5 Azure DevOps Services. Fill in the required details. You have the choice between Git (default option) and Team Foundation Version Control as version control systems and between Agile (default option), Scrum, or CMMI for your work item process. Stick with the defaults for this example. Once you are done and hit ‘Create’, you will be greeted with your new project. Azure DevOps gives you the possibility to work with just the services that you need depending on your workflow and the tools you choose to use. This article will be focusing only on Azure Repos & Azure Pipelines, you can turn off the other services in Project Settings > Services. And after a quick refresh, the project will now show only the chosen services in the navigation bar. This article outlined the basics for setting up Azure DevOps Organisation, creating a project and choosing the services you want for the project. In the next article of this Azure DevOps series, we’ll focus on getting your code on Azure Repos.